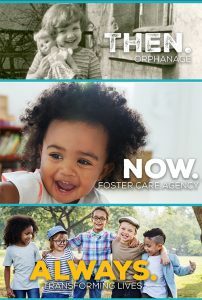 The Amazing Grace Offering is received across churches in North Georgia to impact the lives of children in foster care. UMCH does not receive apportionments and this offering is vital to the services we provide. 100% of your gift goes directly to UMCH programs! In Georgia, there are over 15,000 children in foster care who need a safe place to call home. Your support allows UMCH to provide more foster homes for children in need. Begun as an orphanage for children orphaned by the Civil War in 1871, The Children’s Home still serves children across North Georgia through Foster Care, Transitional Programs, and Family Housing. Since 1973, UMCH has served over 6,000 children through foster care. Today, UMCH is serving over 240 individuals a day through our four programs – Foster Care, Transitional and Independent Living and Family Housing. 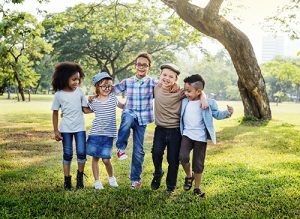 Serving the most people within the largest geographic footprint, our Foster Care Program currently cares for over 150 children a day in foster homes. For 147 years, one enduring vision has guided The Children’s Home: Every child deserves a loving, compassionate and nurturing place to call home. With 147 years of teamwork with churches like yours, we have served countless thousands of children in Georgia. Thank you for leaving a legacy of transformation for children and families across GA – then, now and always.